I love dahlias because they just keep on giving and giving. Tsuki Yori is such a lovely example and it pairs so well with other varieties. Imagine making your own bouquets with a Tsuki Yori or two tucked in to perk things up - fabulous! 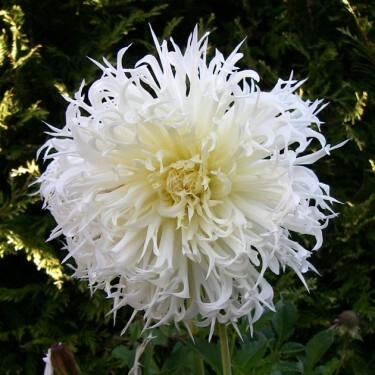 Tons of fringed petals with beautiful white colouring and green in the centre. This stunner showcases well when planted alone or next to Thomas Edison. 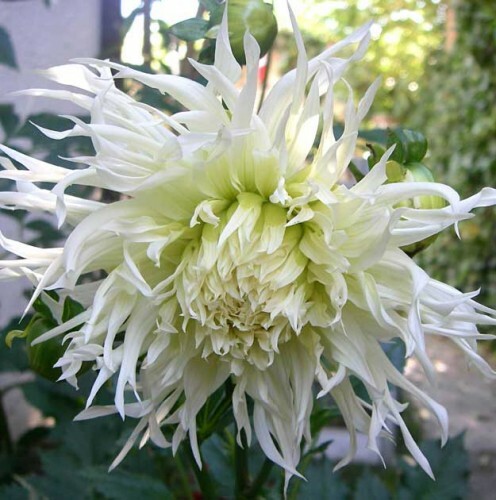 Fringed Dahlias display twisted petals whose tips are also split creating a one-of-a-kind fringed look. They are delicate-looking and their unique forms make wonderful additions to any cut flower bouquet. Originating from Mexico and Guatemala, these were the flowers of Inca kings and despite their royal origins Dahlias are amongst the easiest plants to grow in the garden.